My daughter Erin loves watching Youtube videos of Life Hacks being tested so when a friend (Hey Brittnnie!) started a Life Hack testing group on Facebook I was quick to join. The aim being to see if these Life Hacks actually work or not. Since then we've done a few tests that I'm going to share here too. We tried this and I'm not convinced. 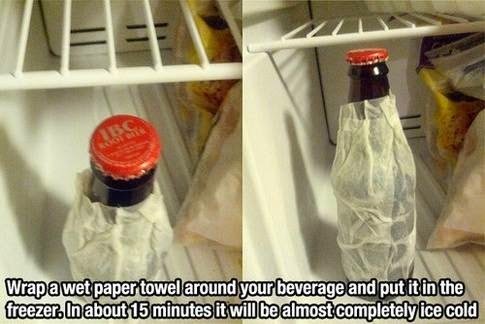 Supposedly doing this will make your drink colder quicker. 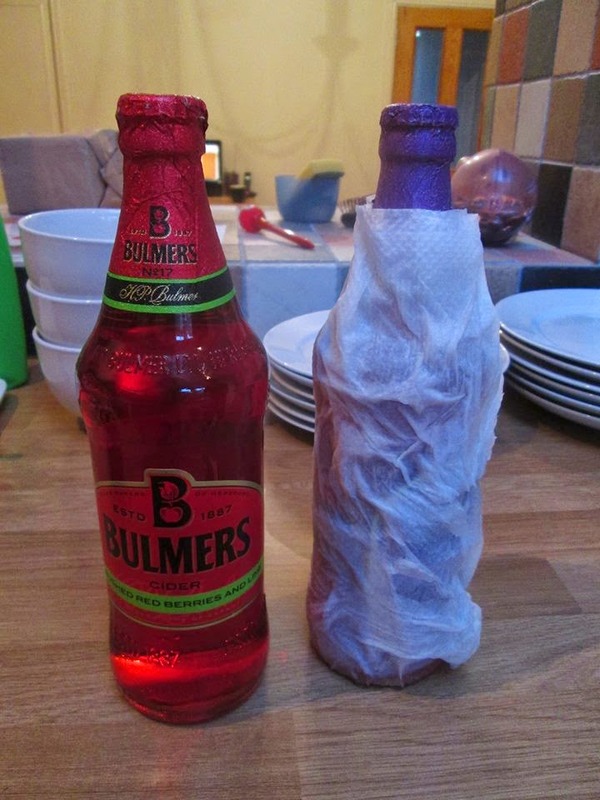 We did one with a wet paper towel and one without. They were both about the same temperature after 15 minutes in the freezer which was not quite cold enough. 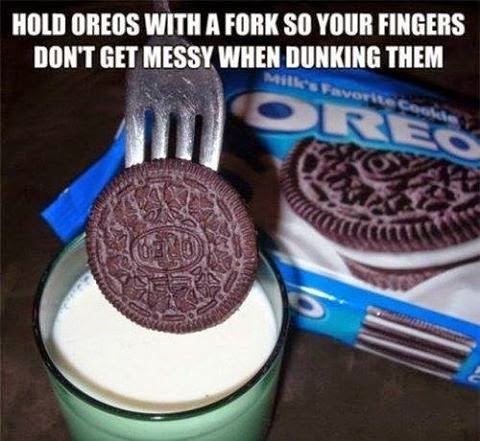 We tried this one because our daughter Leigh loves Oreos. 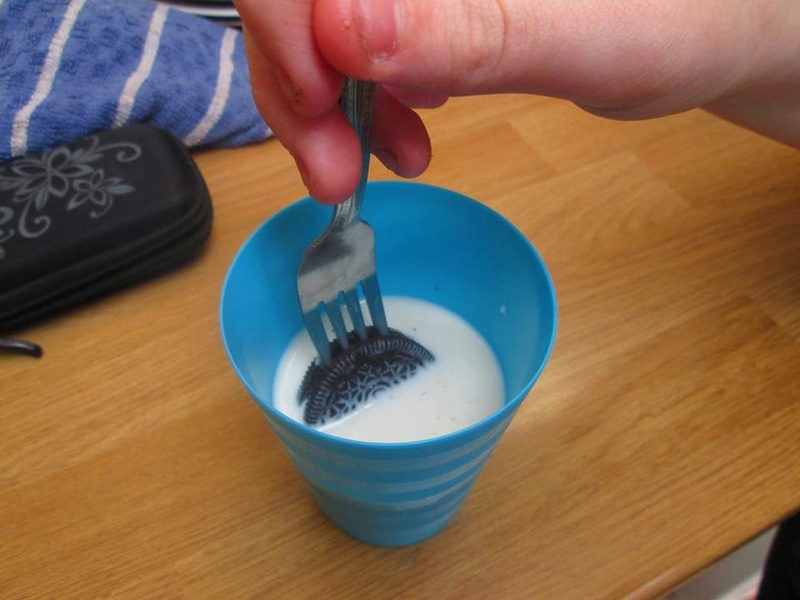 We had a few incidents of putting the fork in making the Oreo break in half but apart from that it was a success. You can dunk an entire Oreo at once which is nice. This is a great tip. 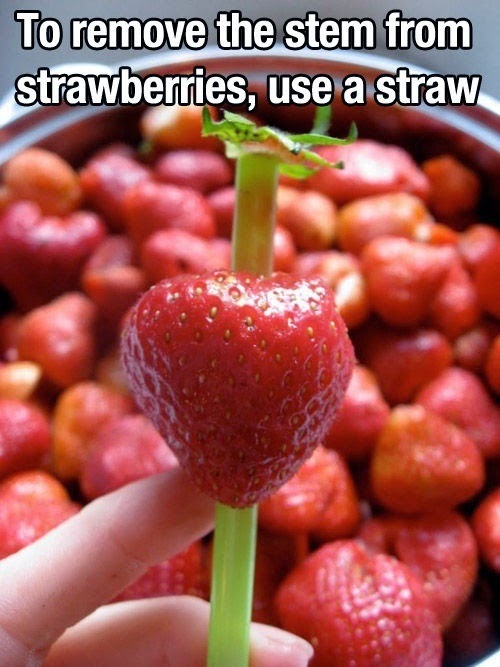 Hulling strawberries is really easy and unmessy this way. I used to work in a bakery where they used tons of strawberries in the summer so everyone had to occasionally help out hulling them. Your fingers would be red (and grossly sticky) after doing just a few. I'll use this method from now on. More Life Hack tests coming up as we do them.